There is this programme from Discovery Channel of the same title aired yesterday and I’m glad I had watched it. This is really getting into my interest as the field covered here is basically on politics (history), engineering and of course ARCHITECTURE! My favourite! The happiest thing is that I’m going to Italy next month and Rome is one of the cities in my itineraries, so I am am able to check out few of it with my own eyes. Rome is the last great ancient civilization, and many historical figures in the profession of arts like artists and architects are from the civilization. Hence, there must be a lot of outstanding masterpieces of their incredible works; which includes forums, temples, theatres, etc….which some still stands today as an icon of great architecture. It is a huge arena or circus, in which modern people like us would call it as a stadium. However, the scale of this stadium is extraordinary. It can accommodates twice the number of people of today’s world largest stadium; which is over 250 000 people at a time. It is 621m in length and 118m in width. It is a free admission for all people and it seems worthy to advertise the power of the Emperor of the time, Trajan. It is upgraded and enlarged in 100 AD out of stone, marble and concrete which is a newly-discovered construction material at the time. It is over 100 feet high with four banks of seatings and it holds performance from gladiator battles to chariot racing. The structure survived for 500 years and it is only the outline of the foundation that is still visible today. 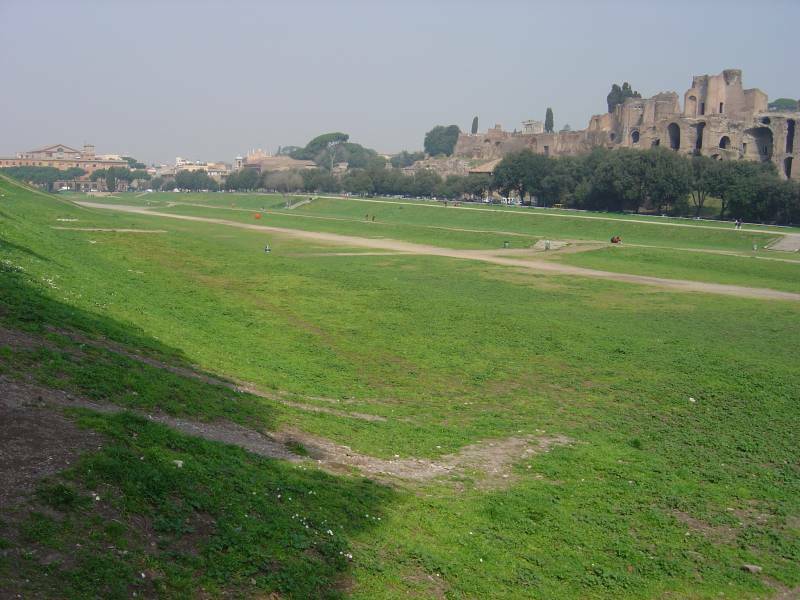 It is the last imperial forum built in Rome civilization at 112 AD and it acts as a formal gathering place to all Romans. It is built to ensure the popularity of Trajan Emperor and to prove that he belongs to Rome since he is a non-Italian emperor. 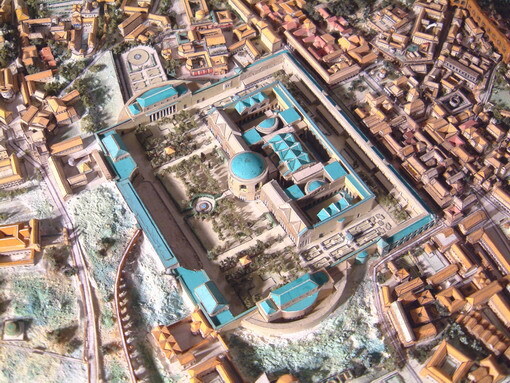 The architect behind this project is Apollodorus whom is a Greek and is Trajan’s chief architect. 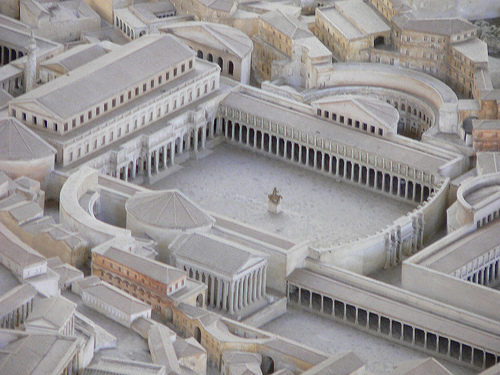 The forum basically consists of elevations of arcades and statues, with spaces like market, library and a huge public square in the middle. There is a column with carvings that depict Rome’s military success. The building is so grand that it is of marble flooring and bronze roofing. 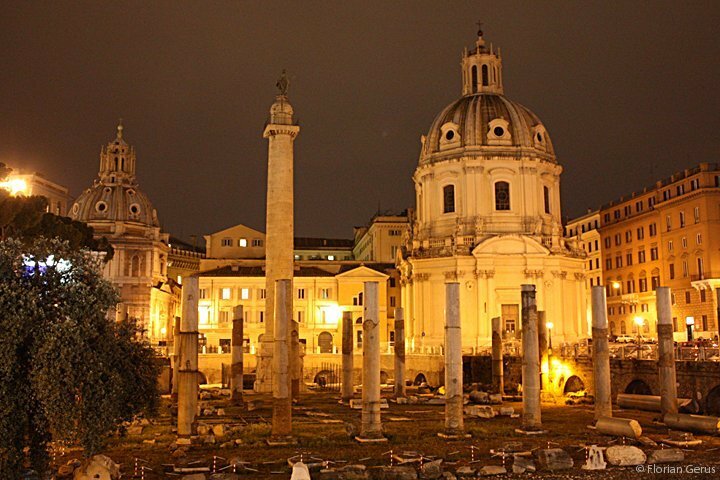 Besides it, there is the Trajan’s Market which is the world first shopping mall with five floors and over 150 shops. Aqueduct is not a single building or structure. It is a water supply or navigable channel constructed to convey water. This remarkable system brought clean water to homes of one million residents of Rome and 200 million gallons of fresh water is brought to the city everyday from far outside Rome. It is the life force of Rome and it is definitely an engineering blueprint. 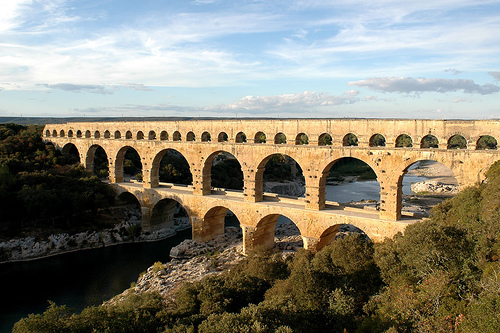 The combined lengths of aqueducts running in Rome is about 500 miles, which only 29 miles were above ground. These go through different landscapes; hills and valleys. For aqueducts above ground, arches are built instead to save construction cost and to reduce the bulkiness of the wall. 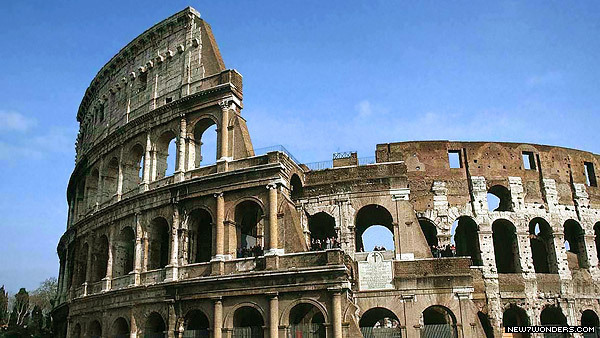 In 216 AD, another impressive structure is built. 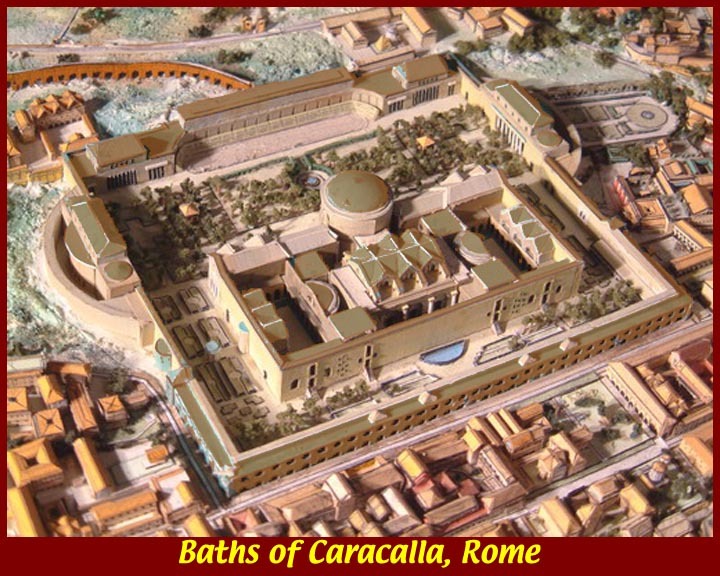 This time it is a bath, called as Caracalla’s Bath. It is a complex of not only having baths, but also library, meeting rooms, garden, sauna, pools, etc. Hence, the scale is enormous; 228 m long, 116 m wide and 38.5 m high and it can accommodates around 2000 people at a time. The centre of the bath alone is even larger than St. Peter’s Basilica in Vatican City. 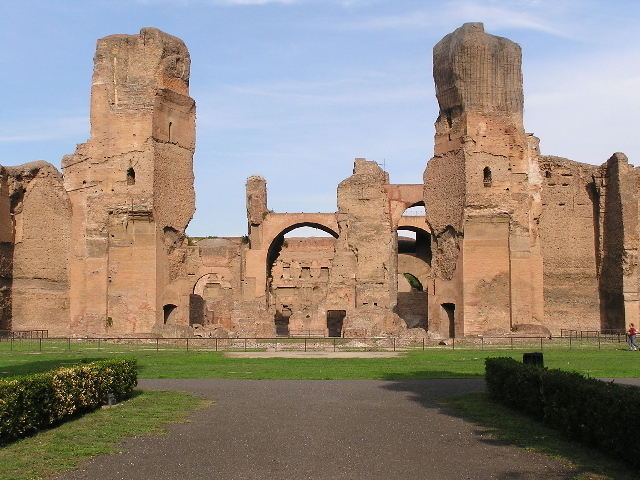 For the history, Caracalla Emperor is a cruel, terrifying ruler of Rome. To clean off his cruel and dirty hands and to reverse his failing image, he built this bath for the people. Over 16 000 workers worked for the construction of the building and it took only four years. Another interesting and remarkable breakthrough in this project is the efficient water heating system called as hypocaust. Roads today seem to be very normal for us, the modern society. 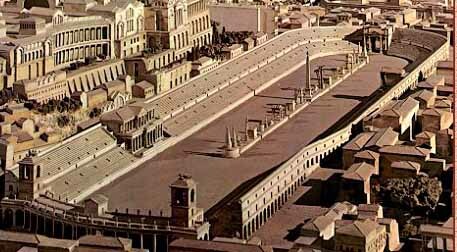 However, it is another engineering marvel when it is first constructed in Rome over 2300 years ago, in 312 BC by Apius, the Roman censor. 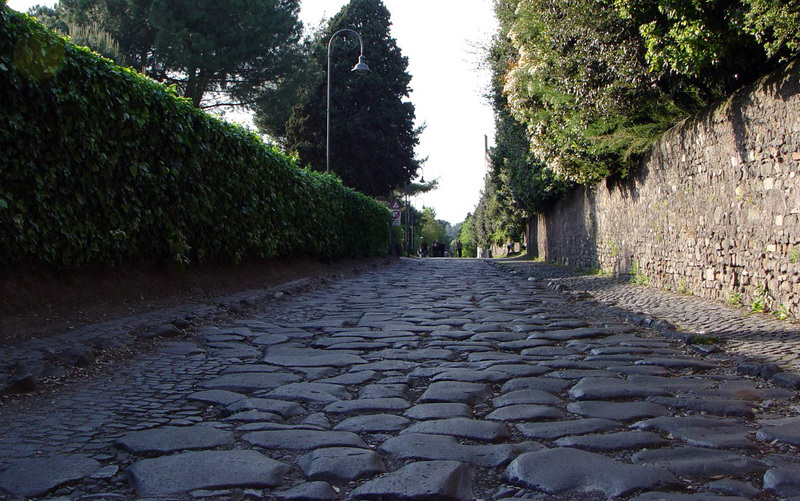 Hence, the first road is called as Appian Way. It acts as an efficient transportation system for troops, armies and goods. Hence, it is also a good and quick tool in expanding the Roman’s territory as the construction of the roads extended time by time. Basically, the roads are straight, cutting through hills and marsh while not avoiding these unsuitable landscapes with challenging construction. It is the core of Roman’s communication and some of the ancient roads are durable till these days. It is a temple to all Gods built in 125 AD by Adrian Emperor. 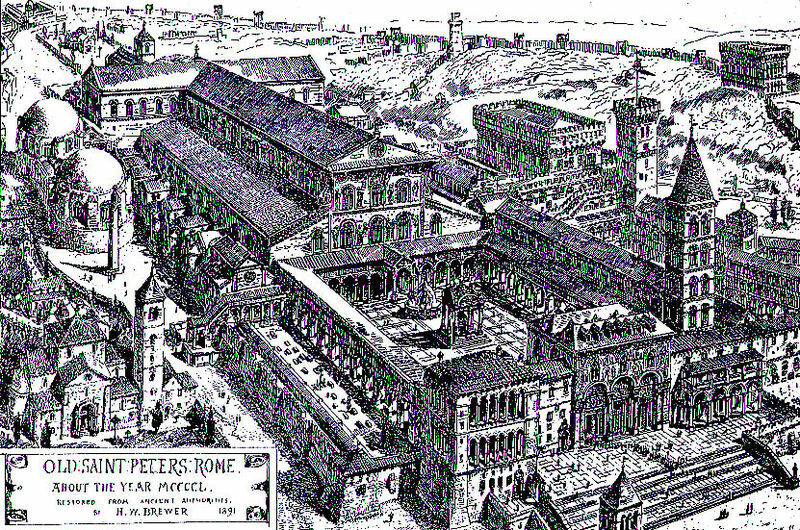 Actually, the exact function of the building still remains mystery till today, and same goes to the architect behind it, whom is either Apollodorus or Adrian Emperor himself or some other people not recorded in history. 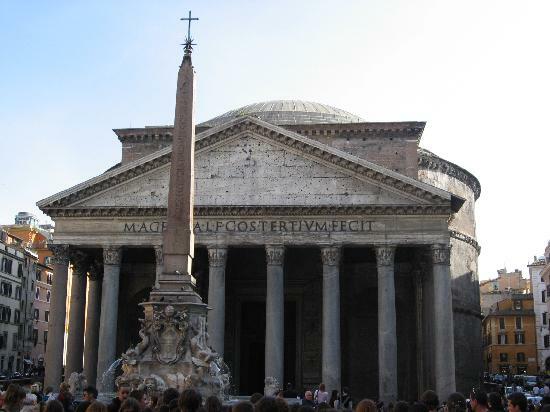 It is the best preserved Roman building and there are many statues of Olympian Gods in the building. 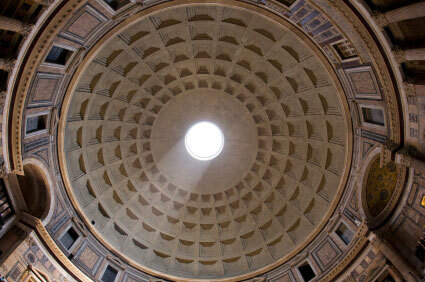 It is topped with a dome with 44 m of span which is the largest ever made unreinforced concrete dome till today. The entrance is of Greek portal with columns and pediment, and the main space below the dome is half the size of a football field. The interior is unsupported and there is no precedent for the construction of this marvelous building. There are rings of collars around the base of the dome and lighter materials are used as the dome rises. Square coffers were cut out to reduce weight and also for aesthetic purpose. The dome topped with a circular hole of 30 feet wide which is called as oculus to allow a light beam to penetrate into the building. Many would definitely recognize this amazing structure. It is one of the Seven Wonders of the World too. However, I always have some difficulty in spelling it out; I would sometimes put a double ‘l’ or one ‘s’ in it. It is an elliptical amphitheatre, the largest ever built in the Roman empire. It is built in less than ten years by Vespasian Emperor, completed in 80 AD and opened by his son whom is the next emperor, Titus as he had passed away. It can holds up to 80 000 people at a time and it serves as an arena of entertainment. It is of high-banked terraces for seatings, 76 entrances, and inside, there are vaulted tunnels. Arches are the distinctive exterior feature of the structure. The first three floors are of arches while the fourth and fifth floor (highest) are of concrete wall. It is 189 m long, 156 m wide and 48 m high. The seatings are separated for different classes of the society with the emperor given the best seat and the women given the worst seats, which are at the highest level. It is the venue for many grand performances like gladiatorial contests, animals’ performances and even executions. Over 700 000 people have died at the venue. Currently, it is partially-ruined due to several past earthquakes and stone-robbers. Anyway, it still stands today as the most iconic landmark of Rome and even of the whole Italy. That’s it. The list of the seven wonders is revealed. Do you agree with this list or you may have a better list. This list is just from the programme from Discovery Channel which I believed is much correct. All structures in the list are astonishing and are definitely among the best works of engineering breakthrough and architectural marvel. The information provided here are basically from what I watched from the programme and little bit of it are from browsing the internet. The pictures are definitely not mine. Not to praise myself, this post must be one of my greatest work in this blog of all time too. I really hope that this post will receive good rating and many viewing too. Thanks for reading, feel free to comment and enjoy! Can I add one more? Yes…why not? Eventhough this building to be mentioned below is not considered to be in the category of ‘ancient’ but I felt that it is definitely worth a mention. 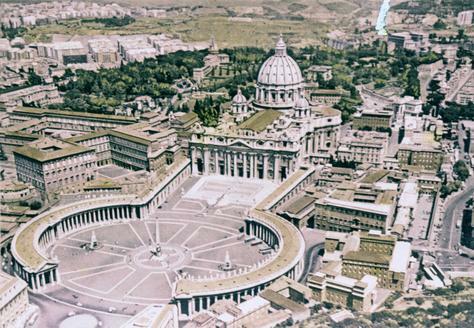 It is the St. Peter’s Basilica in the Vatican City, Rome. It is a late Renaissance church and it has the largest interior of any Christian church in the world, holding over 60 000 people at a time. It is also regarded as one of the holiest Catholic sites, holding a unique position in the Christian world. The construction began in 1506 and completed in 1626. It is 220 m long, 150 m wide and 138 m high, dominating the skyline of Rome. The dome’s diameter is around 42 m, which is one of the largest domes in the world. 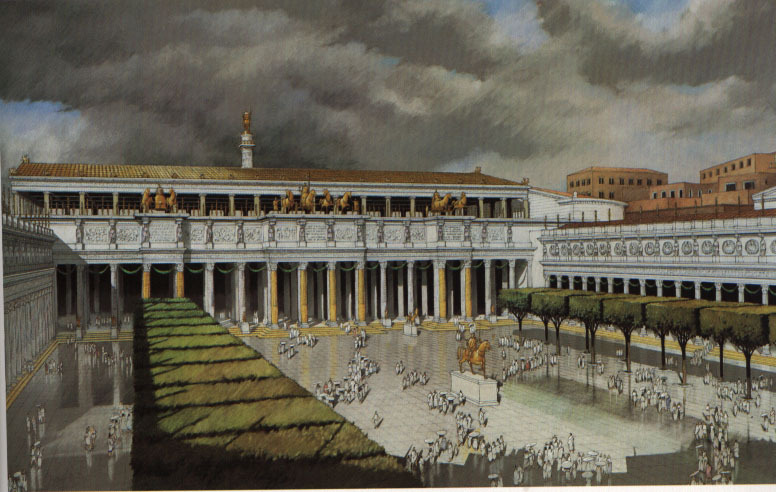 The basilica is approached via St. Peter’s Piazza, a forecourt in two sections, both surrounded by tall colonnades. The basilica is cruciform in shape with an elongated nave in the Latin cross form, and the entrance is through a narthex which stretches across the huge building. There are many architects behind this gigantic project; Donata Bramante, Antonio da Sangallo, Michelangelo, Jacopo Barozzi, Giacomo della Porta, Carlo Maderno and Gianlorenzo Bernini. That’s it. That’s all for this long yet informative post. 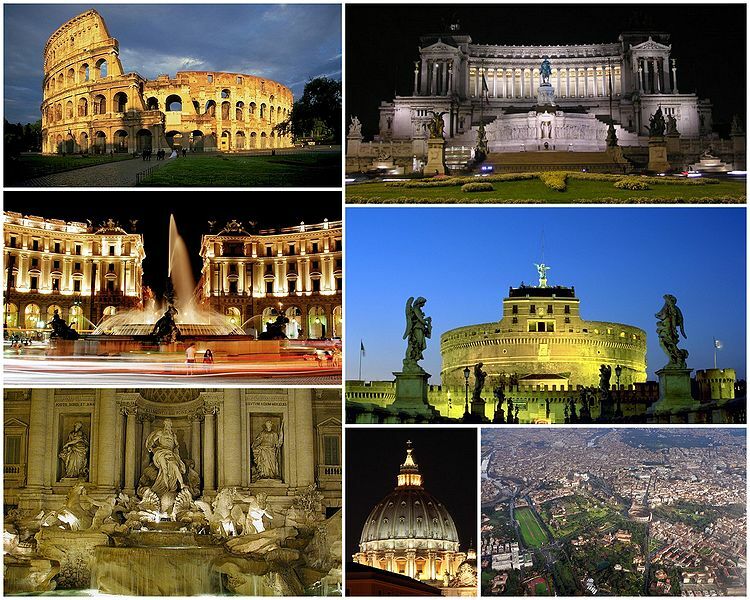 This is going to end with a beautiful collage of pictures of some iconic landmarks of Rome, Italy. This entry was posted in Architectural Territory, Wonders and Places and tagged 7, ancient, appian, aqueduct, architecture, art, basilica, bath, buildings, caracalla, channel, circus, civilization, colosseum, discovery, engineering, forum, history, information, italy, landmarks, market, maximus, of, pantheon, peter, pictures, programme, road, roman, rome, seven, st, structures, the, trajan, way, wonders by vincentloy. Bookmark the permalink. All I can comment on is, I’m not sure what to comment! Except needless to say, for the wonderful tips which have been shared on this blog. I’ll think of a million fun approaches to read the posts on this site. I’m sure I will finally make a move with your tips on those issues I could not have been able to take care of alone. You’re so clever to permit me to be one of those to profit from your valuable information. Please see how a great deal I appreciate it. I needed to create you a tiny observation so as to say thanks a lot again for the lovely tricks you have discussed on this site. It has been so unbelievably open-handed of you to make easily exactly what most people could have distributed as an electronic book to help make some profit for themselves, notably considering the fact that you might well have tried it in the event you wanted. These points also worked to be the great way to realize that many people have the same fervor really like mine to figure out lots more when it comes to this matter. I believe there are thousands of more enjoyable occasions in the future for many who check out your blog post. VINCENT you are absolutely amazing. I love this blog so much and I love you. You are a LEGEND.